Key difference: Ointment and creams are both types of topical medication. A topical medication is a medication that is applied to body surfaces such as the skin. A cream is an emulsion of oil and water. It is thicker than lotion, but thinner than ointment. 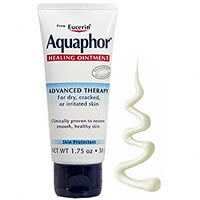 An ointment is a “homogeneous, viscous, semi-solid preparation”, essentially it is a greasy, thick oil. Creams are prepared in a approximately equal proportions, i.e. 50 % oil and 50 % water. While, an ointment is 80 % oil and 20 % water. Hence, it is oilier than a cream. Ointment and creams are both types of topical medication. A topical medication is a medication that is applied to body surfaces such as the skin. They are mainly applied to treat ailments. There are other types of topical medications, including foams, gels, lotions, etc. A cream is an emulsion of oil and water. It is thicker than lotion, but thinner than ointment. An ointment is a “homogeneous, viscous, semi-solid preparation”, essentially it is a greasy, thick oil. Creams are prepared in a approximately equal proportions, i.e. 50 % oil and 50 % water. While, an ointment is 80 % oil and 20 % water. Hence, it is oilier than a cream. Creams are moderate in moisturizing. Like lotions, they are commonly used for moisturizing, mainly for cosmetic purposes. However, they may be medicated, especially for irritation, rashes and allergies, or other skin problems. Ointments, on the other hand, are usually medicated. As ointments are 80% oil they are very moisturizing, and good for dry skin. They are often prescribed or recommended when stronger uses than a cream is required. This is mainly due to the fact that an ointment is 20% water, while a cream is 50%. When applied on the skin, the water tends to evaporate, leaving the emulsion on the skin to be absorbed. Hence, after application 50% of the cream tends to evaporate. Also, creams are absorbed faster into the skin than ointments. Ointments tend to stay longer on the surface of the skin and take longer to get absorbed. Due to this, ointments are often prescribed for dry skin, as they keep the skin moist for a longer period of time. Creams are absorbed faster into the skin due to their high water content. As the water evaporated, it tends to cause the skin to dry up faster. Hence, creams are better suited for greasy and oily skin. Due to the high oil factor, ointments tend to be greasier than creams. They may tend to leave the skin greasy, and may even leave grease spots on cloth. They are also thicker than creams. Hence, it is easier to spread creams over large areas. Ointments are better for concentrated areas, also because they tend to be stronger than creams and tend to heal the area faster. 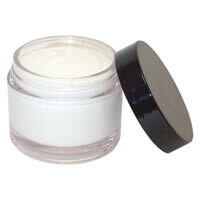 Furthermore, dermatologists often prefer creams to ointments as creams have few ingredients beyond the base oil or fat. Creams also have a low irritation risk. Hence, they are ideal for people with sensitive skin. Also, there is little variability between generic brands of cream and branded creams, again because they have few ingredients.